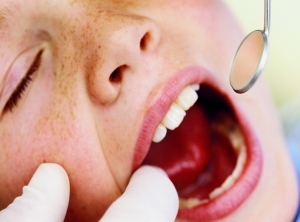 Removing a child's tonsils and adenoids is associated with significant long-term risks of respiratory, allergic and infectious diseases, a study has found. Researchers analysed the medical records of nearly 1,190,000 children born in Denmark between 1979 and 1999 for up to the first 30 years of life. The risk of upper respiratory diseases - asthma, influenza, pneumonia and chronic obstructive pulmonary disorder (COPD) - was almost triple for children who had had a tonsillectomy, compared to those still with their tonsils. An adenoidectomy more than doubled the relative risk of COPD and nearly doubled the risk for respiratory tract diseases and conjunctivitis, according to the findings published in the Journal of the American Medical Association Otolaryngology Head and Neck Surgery. The removal of both the tonsils and adenoids, known as an adenotonsillectomy, was linked to a "five-fold" risk of middle ear infection and sinusitis. In light of the findings, the researchers suggest an evaluation of these common pediatric surgeries is needed. Although they note there will always be a need to remove tonsils and adenoids when conditions are severe. "But our observed results that show increased risks for long-term diseases after surgery support delaying tonsil and adenoid removal if possible, which could aid normal immune system development in childhood and reduce these possible later-life disease risks," said lead author Dr Sean Byars at the University of Melbourne. "As we uncover more about the function of immune tissues and the lifelong consequences of their removal, especially during sensitive ages when the body is developing, this will hopefully help guide treatment decisions for parents and doctors." But Dr Robert Loblay, Director of the Allergy Unit in the Department of Clinical Immunology at the Royal Prince Alfred Hospital, says this is an observational study and the conclusions need to be taken with a large grain of salt. He said the underlying reasons behind why the kids have their tonsils and adenoids removed in the first place could be responsible for the increased risk of other illnesses. "Fortunately, in recent decades the pendulum has swung right away from unnecessary tonsillectomies or adenoidectomies. It's relatively uncommon to see a child who's had one nowadays without there being a good indication," Dr Loblay said.